Berkshire Hathaway HomeServices Preferred Real Estate is excited to be named the “Official Real Estate Partner of the Auburn Tigers.” This unique partnership brings together two internationally recognized brands with a long history of performance and accomplishment. 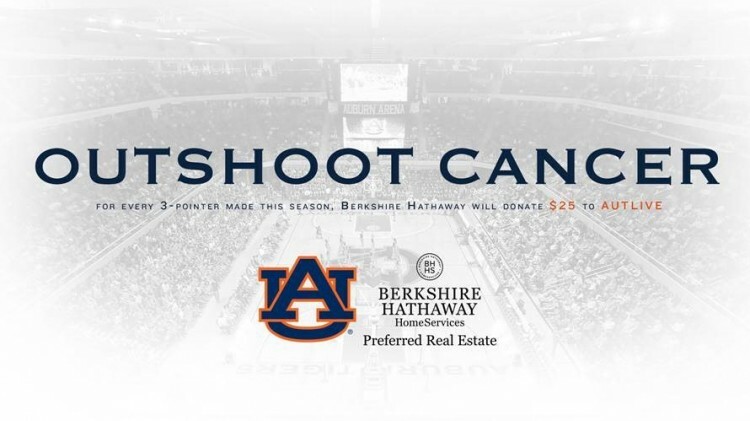 Currently, with the #OUTSHOOTCANCER three-point campaign, Berkshire Hathaway HomeServices is donating $25 for every three-pointer made this season. Totals are announced and posted at every game and running totals can be found at AuburnTigers.com/outshootcancer. 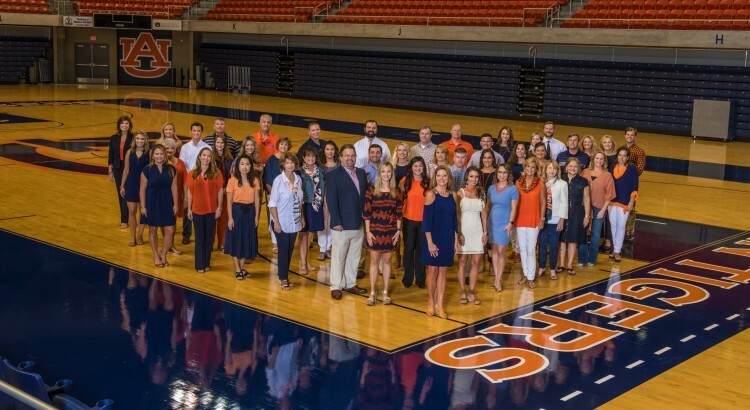 #OUTSHOOTCANCER benefits Coach Bruce Pearl’s “AUTLIVE” program which raises awareness of cancer prevention and assists cancer patients in their local hospital. Also, for the first time ever, BHHS Preferred Real Estate presented the “Kickoff Kid Contest” at all home football games, giving kids ages 5-12 the opportunity to be a part of the excitement on the field. 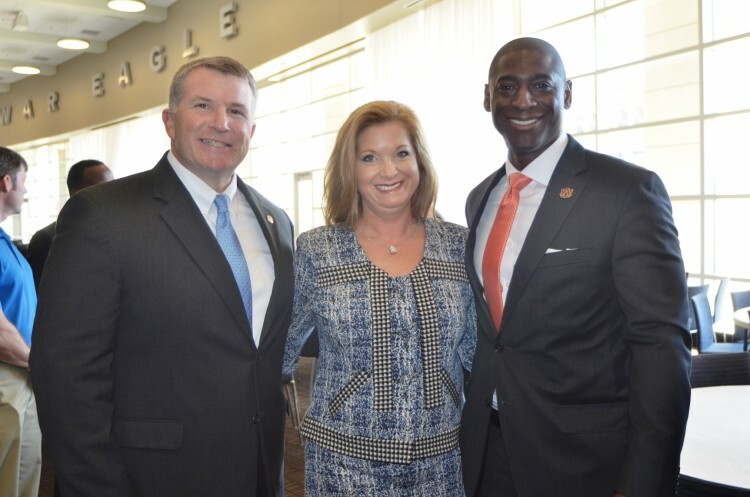 “Our partnerships with organizations like Berkshire Hathaway HomeServices will allow us to continue to provide resources to educate, support and develop our student-athletes at every moment,” commented Auburn’s Director of Athletics, Allen Greene (pitcured above with Stacy Williams Jordan and Alabama State Representative, Joe Lovvorn). To find out more about Berkshire Hathaway HomeServices Preferred Real Estate or to find available homes in the Auburn-Opelika area visit BHHSPreferredAuburn.com.